Intertek is a global provider of quality and safety services designed to help businesses improve products, assets and processes, overcome market constraints and reduce risks. For more than 130 years, companies around the world have depended on Intertek to ensure the quality and safety of their products, processes, and systems. From auditing and inspection, to testing, training, and certification, Intertek enables customers to meet end user expectations for safety, sustainability, performance, integrity, and desirability. Intertek maintains operations in over 1000 locations in over 100 countries. The company employs 41,000 personnel who serve a wide range of markets including chemical, food, healthcare, government, construction, energy, and retail. Intertek’s Allentown facility (Allentown, PA, USA) is an ISO 17025 laboratory that provides advanced analytical expertise and capability for chemical & materials analysis and R&D. The site is staffed by 42 technical and administrative team members and is focused on improving discovery, prototype, scale-up, troubleshooting, and process monitoring activities for its customers. The laboratory employs and combines diverse techniques such as chromatography (LC, GC, SEC/GPC, IC), mass spectrometry (LC/MS, GC/MS, MALDI-ToF,ToF-SIMS, ICP/MS), failure analysis, thermal analysis, rheology and spectroscopy (NMR, FTIR, Raman, NIR, ICP-OES, XRF, XPS) to analyze polymers, catalysts, surfactants, ceramics, nanomaterials, semiconductors, and medical device materials, among many other sample types. With both sample diversity and volume increasing, Intertek Allentown utilizes several analytical techniques to provide comprehensive polymer analyses for its clients including gel permeation chromatography (GPC). GPC is a key tool for measuring polymer molecular weight distributions (MWD). MWD can change with processing and use resulting in degradation and the generation of low MW species in polymer distributions. Columns are typically packed with styrene-divinylbeneze or methacrylate polymers – a change in mobile phase can require lengthy equilibration times and gel-based stationary phases can suffer from mechanical instability at higher backpressures. Particles are typically larger (≥5 μm) which can compromise resolution. Smaller particle (<5 μm) columns are available, but separation speed is limited by low maximum operating pressures. The large system volumes of conventional GPC require the use of large diameter columns to mitigate band spreading, which can lead to resolution deterioration. Given the technological challenges associated with GPC, Intertek Allentown sought an alternative approach to size exclusion chromatography (SEC) – one that would enable them to far more effectively resolve low MW polymers. 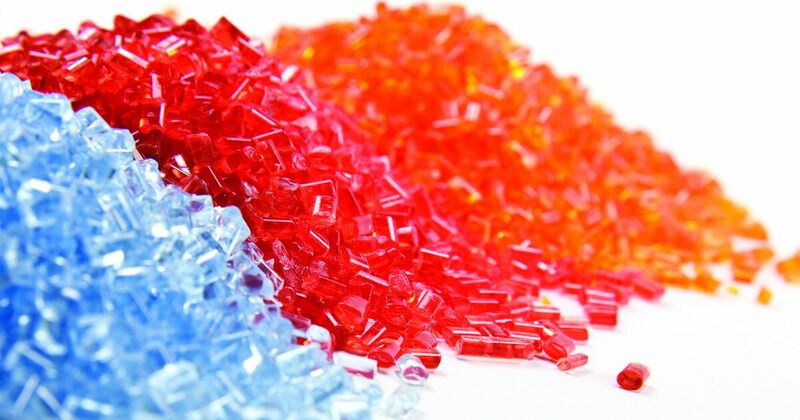 If attainable, this enhanced capability could prove to be critical as the industry continues its evolution to a new era of polymer development. In an effort to better resolve low molecular weight polymers and solve previously unanswerable questions, Intertek Allentown implemented analytical technology from Waters consisting of the ACQUITY Advanced Polymer Chromatography (APC) System, ACQUITY APC Columns, and Empower 3 Chromatography Software. With APC, users can run diverse polymer applications on a single system, on one bank of columns with a wide variety of solvents. And the low overall system dispersion can significantly improve resolution, especially for low molecular weight oligomers. The ACQUITY APC System is comprised of a refractive index (RI) detector that has been optimized for low dispersion, but with the low noise and drift performance required for accurate integration, even at low polymer concentrations. The precise flow delivery of the isocratic solvent manager ensures that the calibrated system consistently delivers accurate molecular weight data. The system also utilizes rigid, sub-3-μm, bridged-ethyl hybrid particle columns that provide significant gains in stability and faster separations. Empower 3 Software’s GPC option streamlines laboratory workflow by providing comprehensive data analysis capabilities specifically for polymers. Results reported are fully customizable and include molecular weight calculations such as Mn, Mw, Mp, Mz, and polydispersity. Lubricants – For the analysis of polyalkylene glycol (PAG), APC provided superior resolution compared to GPC, yielding additional information about the sample. The run time was also faster by APC (15 min) as compared to GPC (35 min). Low mass surfactants – In a study of ethoxylated alcohols, the improved resolution of APC shows residual alcohol (right shoulder of red curve) in the lowest mass products. With traditional GPC, the residual alcohol would not be resolved from the ethoxylated surfactant, and the degree of separation of the surfactants would not be as complete. Competitive analysis – APC characterization of polysulfone samples from two different manufacturers debunks the claim that one product has lower oligomer content than the other. The higher resolution afforded by APC clearly demonstrates that the samples are identical, especially in the low mass oligomer region. Oil additives – An examination of oil additives (concentration of ~2%) by APC illustrates the successful determination of molecular weight distributions. The oil samples, which can be quite challenging for analysts, were simply diluted and injected without any special sample preparation. Additionally, the column sustained no damage, a common concern with oil samples. Download the pdf of our case study to see Intertek’s data. System flexibility – The most important advantage of APC (compared to GPC) identified by Intertek is the ability to rapidly change solvents between experiments. With traditional GPC, solvent equilibration times typically require 24 to 48 hours. This has been reduced to 4 hours with APC, a decrease of approximately 80 to 90%. Revenue increase – Intertek’s current repertoire of SEC methods is three times greater than the number of instruments it has to run them on. Faster solvent switching with APC has translated to greater operational flexibility for the laboratory – they now have the freedom to initiate more exploratory analyses which have in turn spurred business growth. Higher resolution – The ability to better characterize the presence of low molecular weight oligomers enables Intertek to provide unprecedented insight into polymer samples. This information can be leveraged by customers for synthesis, process optimization, product formulation, as well as applications in end user markets. Greater productivity – GPC run times typically range from 30 to 45 minutes while run times on the APC system range from 10 to 15 minutes, a decrease of approximately 65 to 75%. For Intertek, the rapid run times can mean greater sample throughput, faster method development, and/or the opportunity for analysts to allocate more time to other projects. APC has also been proven to be easier to use than existing GPC systems, further increasing the efficiency of laboratory personnel. Lower operating cost – A single APC system is significantly less expensive to run than a single GPC system given the reduction in solvent consumption – costs associated with solvent acquisition and disposal are lower. Responsiveness to customers – With the faster solvent equilibration and run times of APC, Intertek has the agility to address more aggressive customer timetables. In one particular circumstance a customer requested an analysis of polycarbonate urethane be completed within 24 hours. The urgent tests were completed in 22 hours with APC, meeting the deadline, satisfying the customer’s needs and likely paving the way for repeat business. The same analysis would have taken three days with GPC.